These days when we talk about Chinese businesses, we immediately envision cheap Chinese textiles, plastic toys, apparels, shoes and electronics. But slowly and steadily Chinese heavy industrial businesses are increasing their foothold and China is sending away the low-end export manufacturing to other countries such as India, Cambodia, Vietnam and Bangladesh. Chinese exports, more specifically low-end manufacturing businesses, increased by about 17 percent per year for last three decades. Increase in wages and Yuan’s appreciation causing China to send low-end production to low cost manufacturing countries. However, the void is replaced by high end and higher margin products such as construction equipment, ship building, and other heavy industrial products. The construction equipment manufacturer Sany Group purchased the world largest manufacturer of cement pumps, Germany’s Putzmeister for $475 million and planning to expand by opening new factories in Brazil, India and in the U.S. in Alabama. China built ships accounted for 41 percent of the world’s ship manufacturing. China beat South Korea and Japan to take the lead in ship building. Also, global share of Chinese made locomotives are rising steadily. 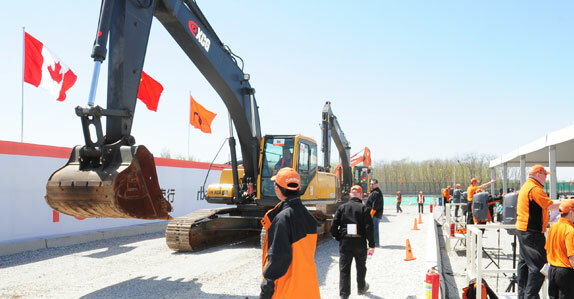 Major markets for Chinese made heavy equipment include Europe, India, South America and the Middle East.